Ramlieh Hostel, Ramliyeh, Mount Lebanon. Information, Photos and Reviews. Say HEY to the world! 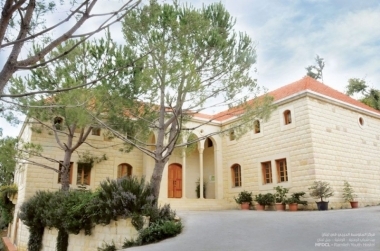 Ramlieh hostel, a hostelling international member in Lebanon, sets in a pristine, small forest in the quaint village of Ramlieh-Aley District. 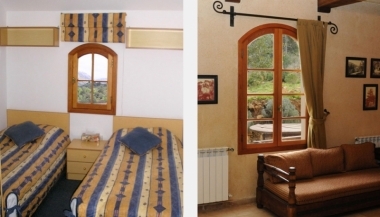 This charming building with its warm stony decoration proffers a spectacular view on the peaceful green mountains and gives you the chance to be away from any kind of stress and distraction. In order to satisfy each client and make sure of the worth of his stay, the eco-lodge provides lots of facilities and activities. 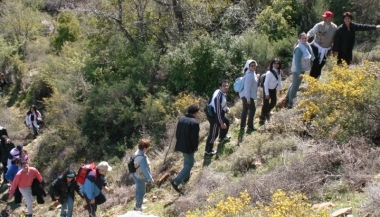 •	Guided hiking tours: it ensures the pleasure to explore nature and enjoy the amazing natural sceneries. Besides, this tour offers the opportunity to discover more than 50 species of Lebanon’s common trees and shrubs. •	Team building: using a multitude of indoor and outdoor courses, activities and metaphors to build up both team building and personal development skills and abilities. By exploring the generous nature and the hospitality of the local community and mainly the hostel's stuff, you are warmly greeting Lebanon and surely you are choosing where it fits better! Nobody has reviewed Ramlieh Hostel yet, Be the first. You are submitting a booking enquiry. 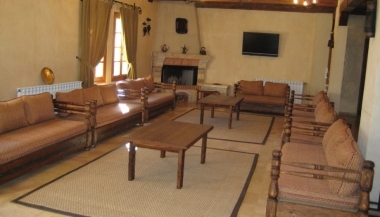 Ramlieh Hostel will then contact you by email with details of availability and prices.